Cliff grew up teaching himself as much as he could and he wom an a scholarship to the University of Texas in Austin. After he graduated he attented University of Texas Law School and got a job at a big law firm in Dallas. He fell for a young girl who became pregnant and they decided not to marry. She had an abortion that was illegal at the time. Complications arose during the surgery and she died. Cliff went down hill from there. For a good 10 years he lived in a cloud. Than in 1978 he ran for US Senate. Sadly the tragedy of his girlfriend's death was used against him, by non other than JR and he had to withdrawl from the race. 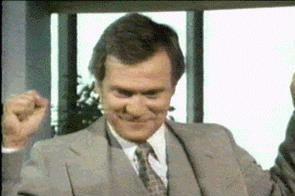 Soon he started to see JR's wife, Suellen and in 1979 Suellen became pregnant. After the baby's birth the truth came out that Cliff was not the father. Soon though Cliff was given the job of Chief of the Office of Land Management. Cliff was tricked by JR when he was talked into running for Senate again. To due the Senate race Cliff had to resign from the Office of Land Management. Soon he was at the bottom again. Also just before this Digger, Cliff's father died. Cliff also learned from his father around the time of John Ross' birth that he had a disease that would cause him to pass it to his children. The disease would cause his children to die at a young age if they got the disease. He vowed to never have children. 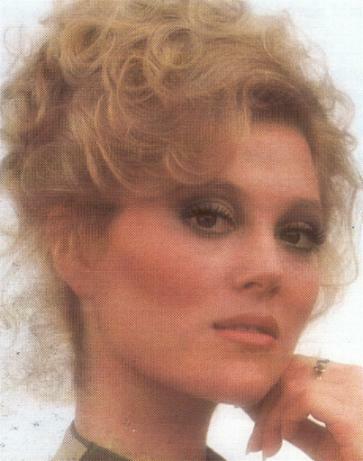 In 1980, Cliff fell for Afton Cooper the sister of Mitch Cooper, busband to Lucy Ewing. They had one of Cliff's longest relationships and one of the few women he moved in with. 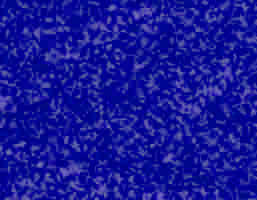 Soon, Cliff and Pamela's mother Rebecca came back into their lives and gave Cliff a position at Wentworth Tool and Dye. (The company belonged to Rebecca's second husband and the father of Rebecca's daughter, Katherine.) Rebecca had a hard time bonding with Cliff, but Afton made it easier. Rebecca loved her like a daughter and Afton help Cliff feel comfortable with his mother's return. Soon though tragedy struck. Rebecca was killed in a plane crash. Cliff blamed himself since he was suppose to be on the plane. Afton could only take it so long. 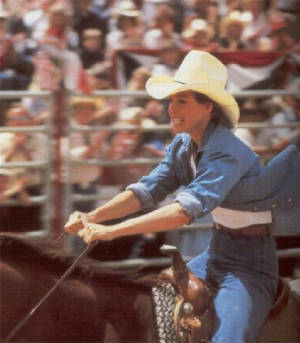 Afton left and moved away in 1984. Soon Cliff was running Barnes Wentworth Oil Company that he started after his mother's death. He was in hog heaven and than Jamie Ewing came into his life. They got together to get part of Ewing Oil from JR and Bobby. Jamie's father was Jason Ewing the brother of Jock and Jamie had papers saying that she had a right to a piece of Ewing Oil. Cliff flocked to this and soon married her some time in 1985. 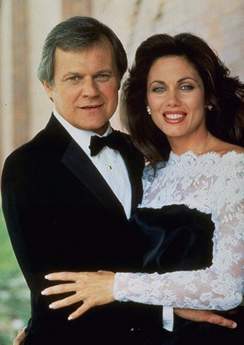 The right to Ewing Oil fell through and now Cliff was married to a Ewing. They stayed married till 1987. I believe that Jamie died before the divorce was final, but I am unsure at this point. 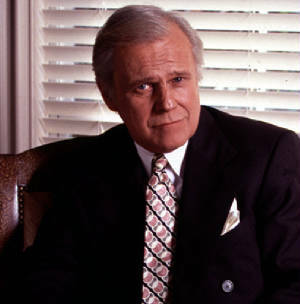 Cliff continued to bother the Ewings from 1987 at least through 1998 in the movie War of The Ewings. 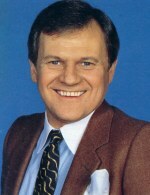 Ken Kercheval has starred in 32 starring roles from 1967- 2001. 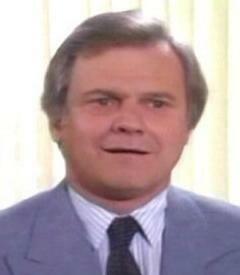 He has also had 37 guest roles from 1961- 2001. 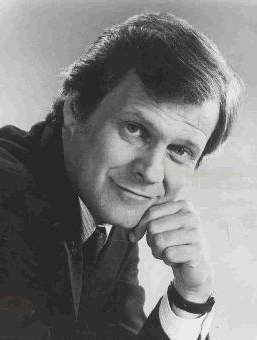 Ken Kercheval is a face that will remain on television as long as reruns continue. He is a legend in television and I hope that he will continue to act and I can write more into his resume. I will try to give more details to his other work soon. Below are pictures of Cliff and his two great loves. 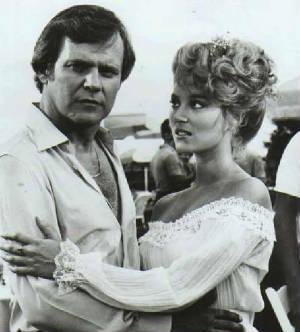 Afton Cooper, the first great love (left) and Jamie Ewing Barnes, the second great love (right). Afton (above) singing and Afton and Cliff (below) at a Ewing BQQ were passed along to me from Christo. Jamie and her brother, Jack Ewing. Cliff had one woman who he loved aboved all other, his sister, Pamela. The picture above is one of my favorites. It shows their relationship the way it really was. She watched of him and he was he funny guy. In the picture below Pam is ill and Cliff and their mother Rebecca are visiting her. Cliff and Mandy Winger. Mandy was one of his shortest relationships. She soon hooked up with JR and became one of JR's longest mistresses.